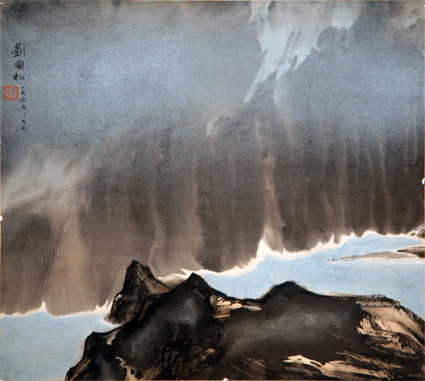 Born in Bangbu, Anhui, in 1932, Liu Kuo-Sung is universally recognized as one of the earliest and most important advocates and practitioners of modernist Chinese painting. 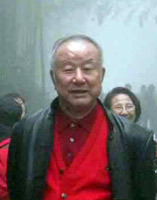 He moved to Taiwan from the mainland in 1949. 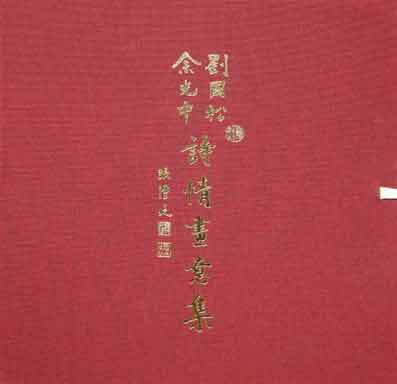 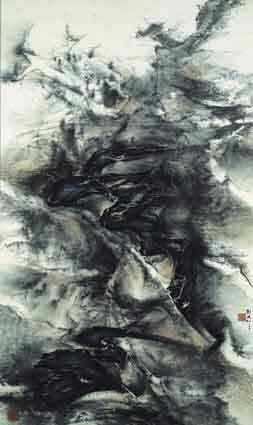 In 1956, Liu Graduated from the Fine Arts Department of the National Taiwan Normal University, in which he studied both traditional brush-and-ink and western-style painting techniques. 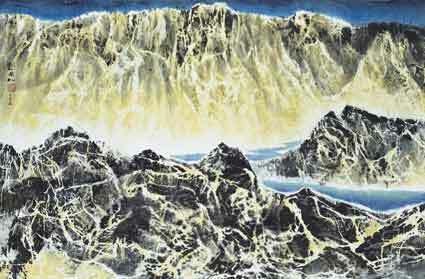 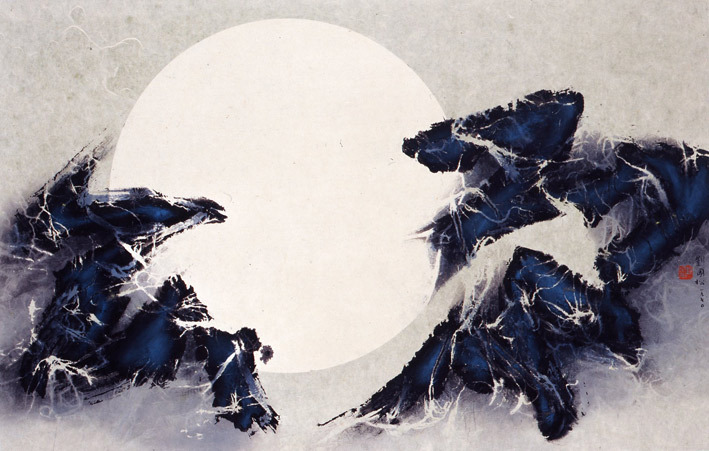 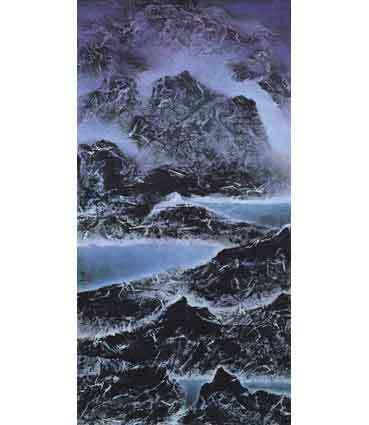 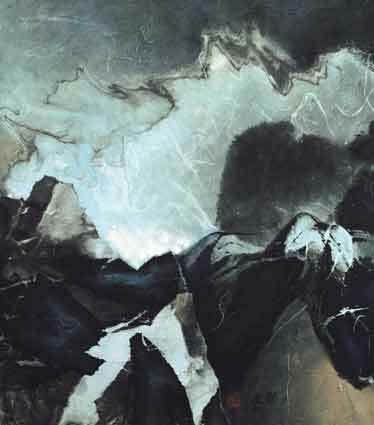 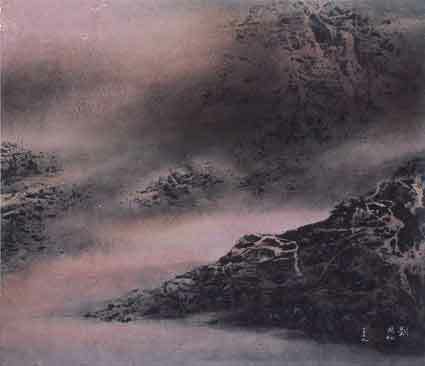 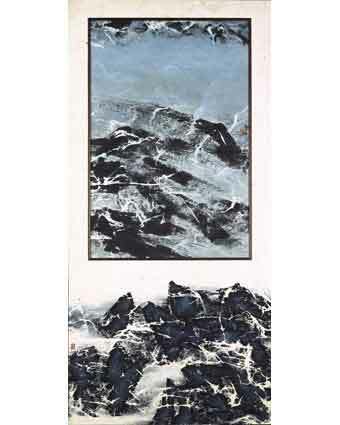 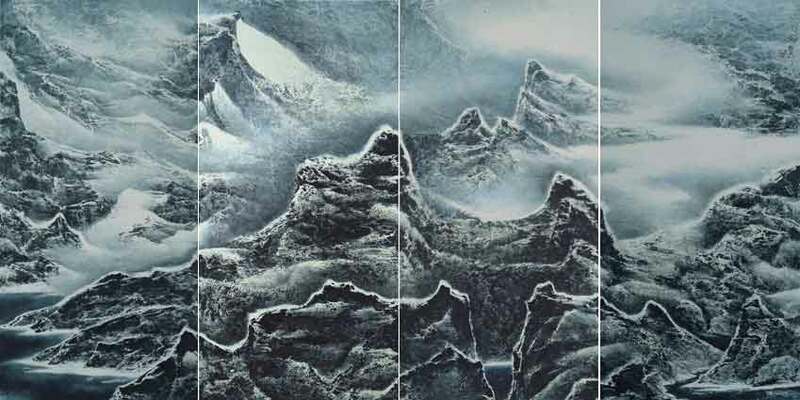 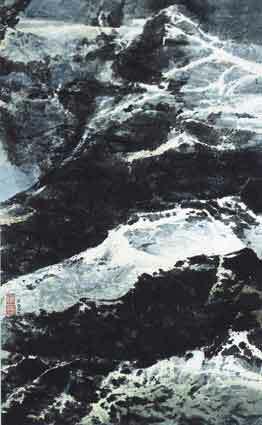 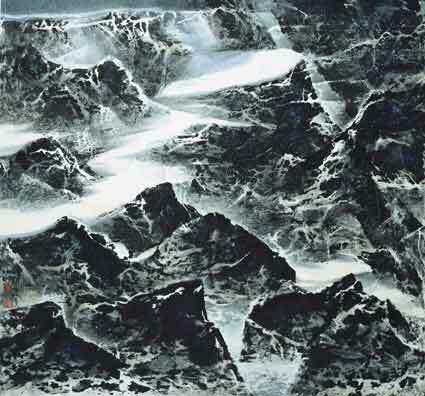 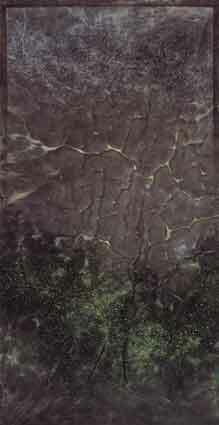 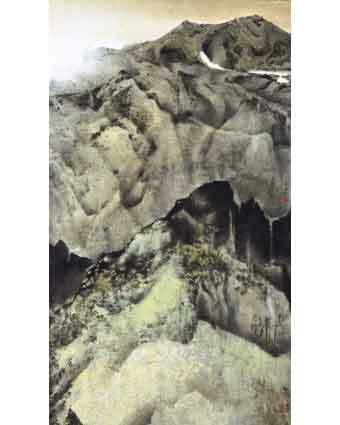 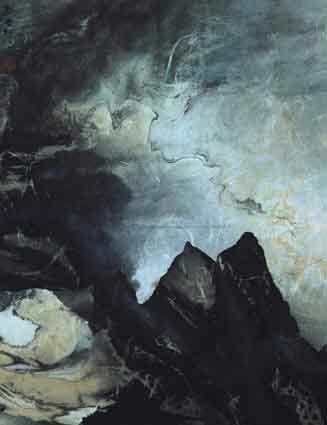 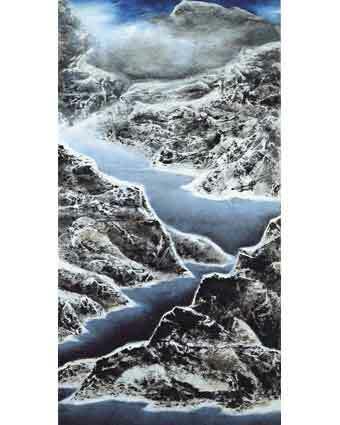 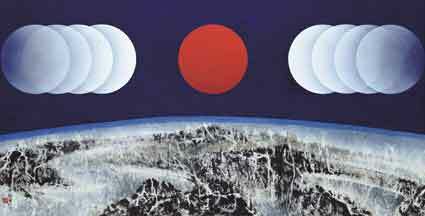 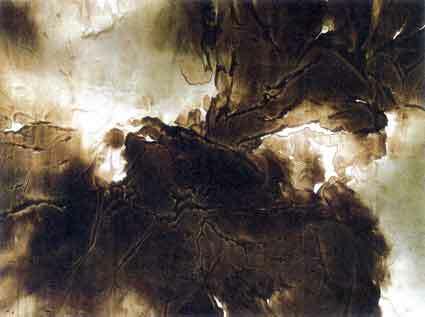 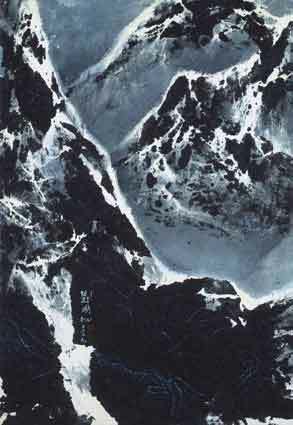 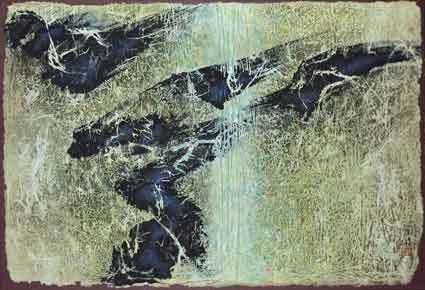 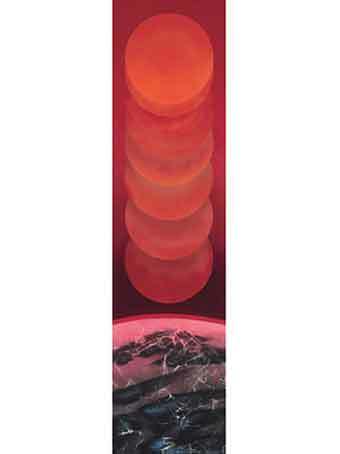 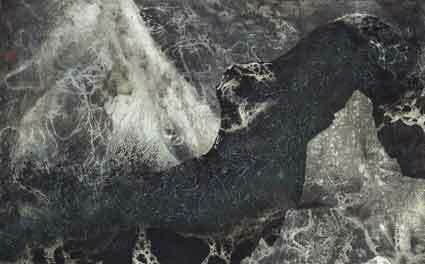 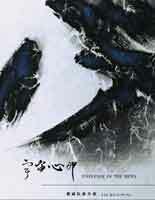 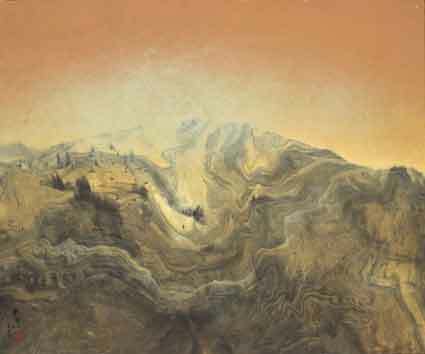 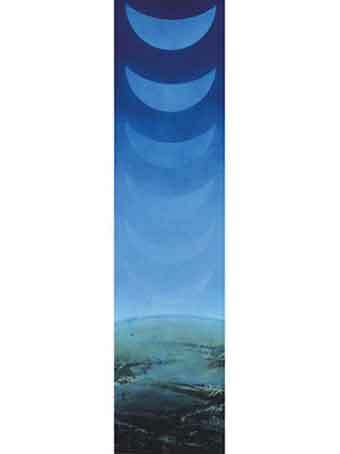 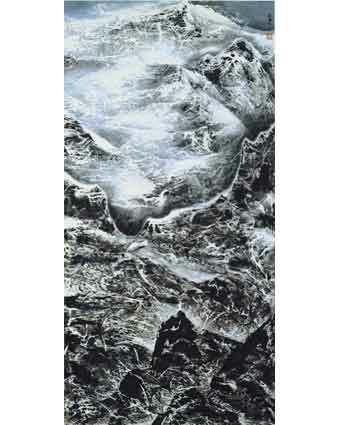 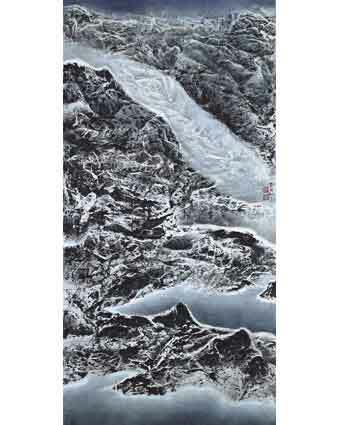 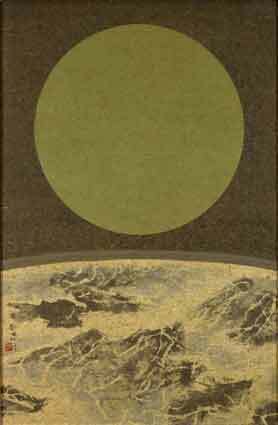 As one of the co-founders of Taiwan's Fifth Moon Painting Society (wuhue huahui) in 1957, Liu Kuo-Sung sought a new approach to art, which was inspired by both traditional Chinese painting-especially the style of the late Tang period (618-907) and the monumental landscape painting style of the 10th to 11th centuries-as well as modern styles and techniques, such as Abstract Expressionism. 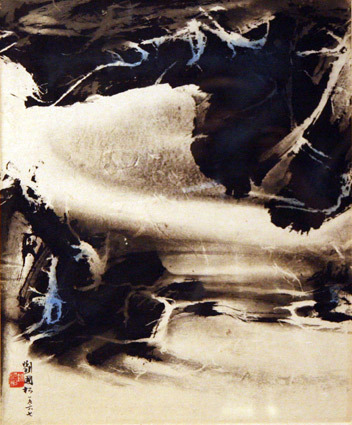 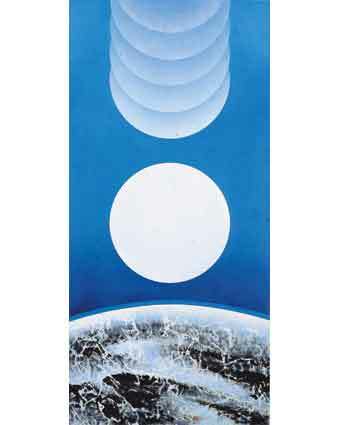 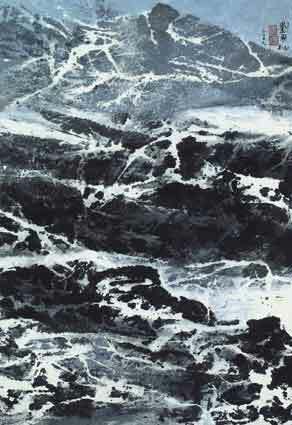 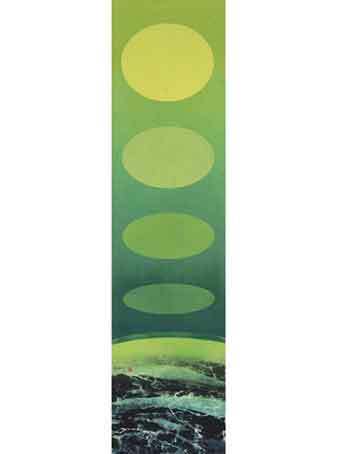 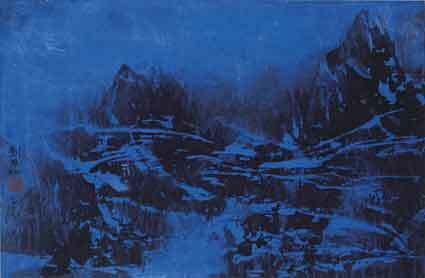 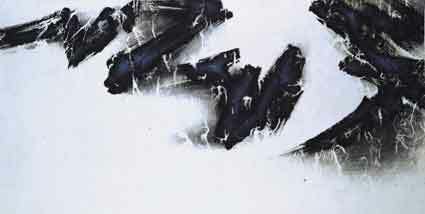 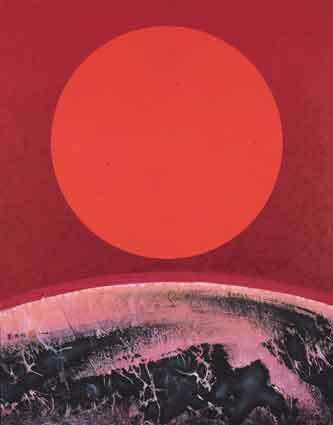 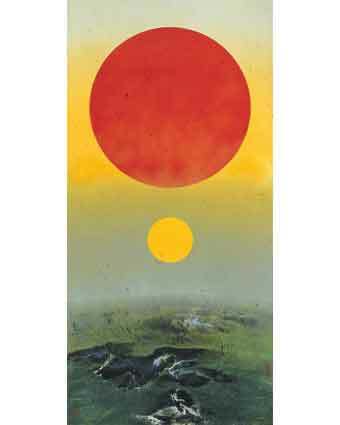 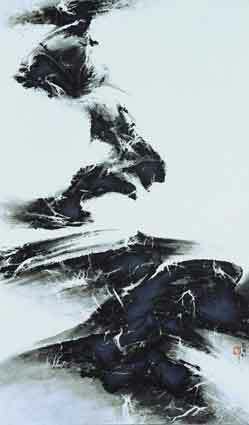 Before turning to ink painting in 1961, Liu experimented with abstract oil painting. 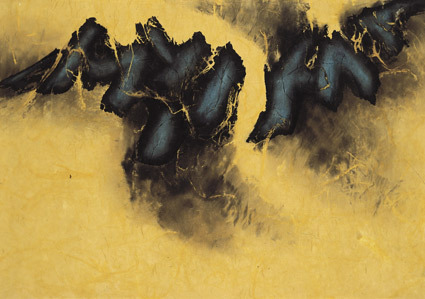 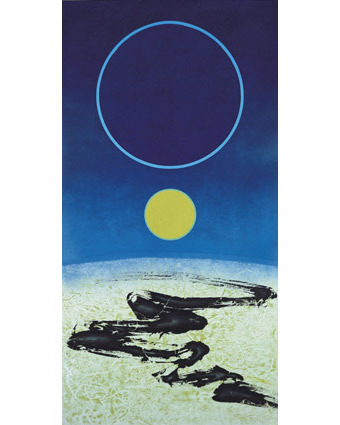 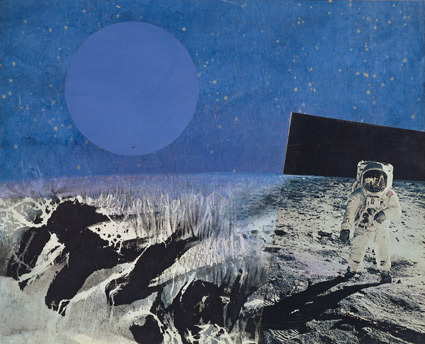 By the mid 1960s, Liu had gradually developed his own personal pictorial formulae, in which he combines ink painting with collage and applies ink and colour on special paper. 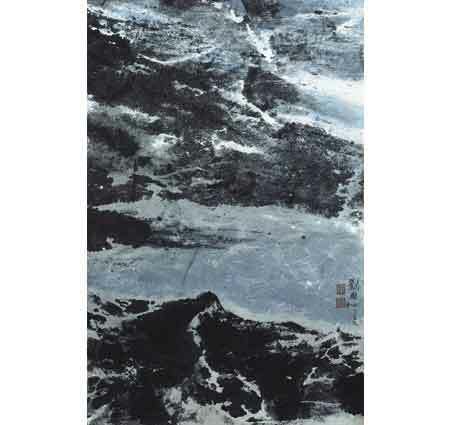 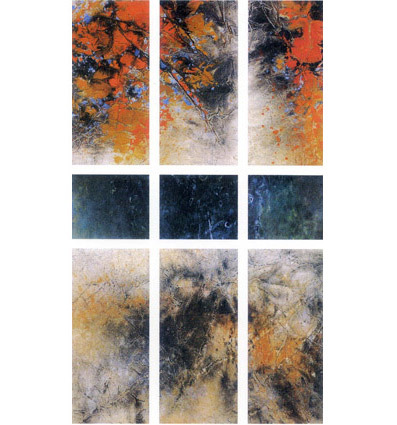 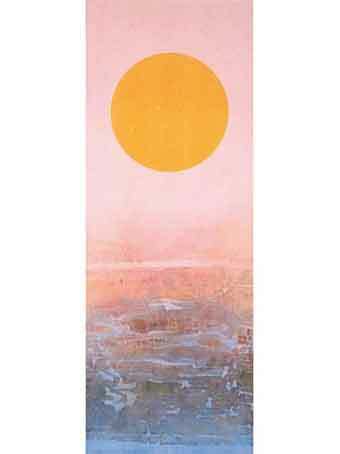 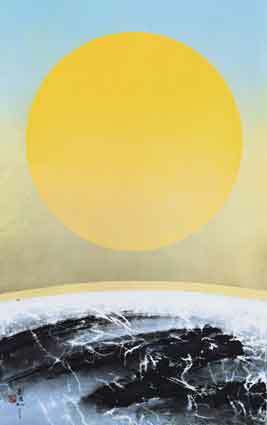 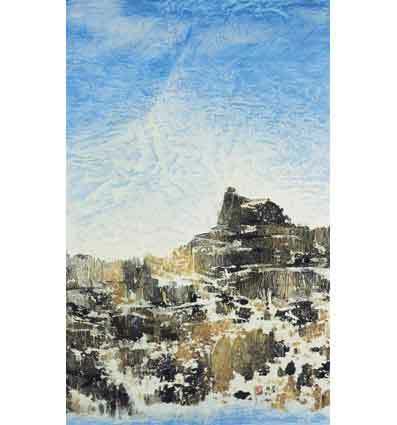 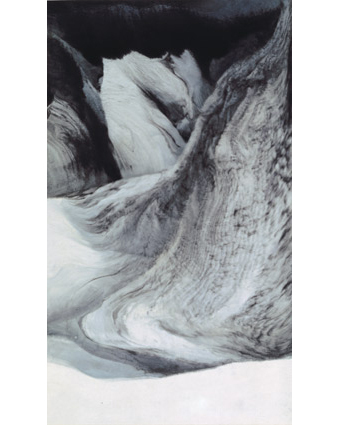 The works featured here are all examples of his fusion of landscape monumentality and abstraction and represent the mature style that has earned him a place in many prestigious international exhibitions and collections over the past twenty years. 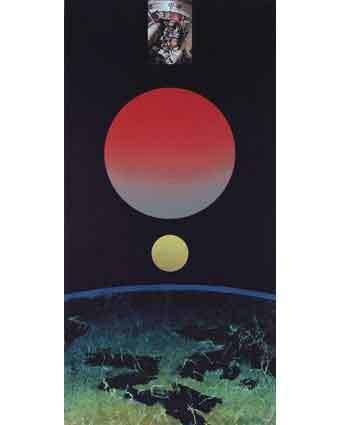 Sun and Moon: Floating? 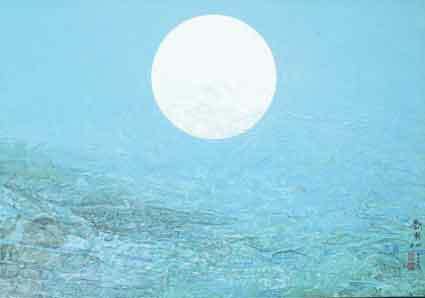 Sinking?